In the Great Northwest during this lovely sunny/rainy time, summer has left but winter hasn't yet settled in. Since all our small Oregon family's birthdays fall in September and October, we developed a tradition of celebrating at Neskowin in a comfortable condo on the Pacific beach. This section is sheltered from the strong southwest winds by huge Proposal Rock just off shore. A lava layer supports multiplied strata in this relic of nature dating back to a more active period of the volcanoes of the mountain range inland, we found most fascinating. But that was the least of it for me in 2004. During our celebration that year I discovered an old reprint of a fascinating small book tucked away in the back of a kitchen drawer of our condo. Written by Mrs. Hardy Rock (her real name), an early settler in that community, she told of her coming to Tillamook County at the tender age of 19 as the first school teacher. Mrs. Rock, whose descendant I later met, very interestingly described the lifestyle of the pioneers in the area circa 1869 - 1899 as I recall, and some shocking details of the daily lives of the local Indian tribes (violent savages were kept on the nearby reservations, others were free to come and go as they pleased). Some of the land was purchased from these tribes. "...There were never any infections, and very rarely any contagious diseases..."
What follows is a synopsis of this young teacher’s book, but that key line pretty well says it all as to their level of wellness and lifestyle in general. They enjoyed healthy bodies and minds, including strong immune and digestive systems (no chronic stress such as today); strong bones, and a total lack of today's degenerative diseases. The children learned far past today’s levels of learning. There were no cancers, no heart attacks or need for by-pass surgery, no diabetes, no strokes, ad nauseam, or a 1,001 more. 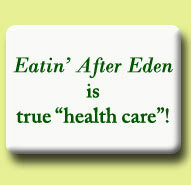 It also means there were no grocery stores/supermarkets with almost entirely packaged, processed foods; or fast foods. Most deaths were from accidents, including drowning, or freezing to death on travel trails. Not incidentally, the diet consisted of nutrient dense wild blackberries and other berries and fruits, an abundance of salmon and wild game, raw dairy products (many families had a cow though there were no dairies); fermented foods (which fed good intestinal bacteria), some baked, non-hybridized, whole-grain bread; and garden produce. All was organically grown, a diet providing all the nutrients necessary for wellness, including whole-food vitamin complexes with synergism, minerals, right fats and essential fatty acids, complex carbohydrates, and quality protein, mostly grass-fed. Not coincidentally, 85 years ago Dr. Weston Price found similar diets among the most primitive--and most healthy—people groups around the world. Only on special occasions when there were community spreads or church gatherings did they “eat out,” with wholesome foods, pies and other desserts also enjoyed. These were always home-made with whole grain flours and raw sugar; pastured eggs, raw butter and cream, and lard--sans highly processed, stripped non-foods, and phony fats of rancid polyunsaturates, manufactured trans-fats, toxic additives and addictive highly processed sugars, including high fructose corn syrup. At these events they danced (exercised) often all day or all night in between and after eating these rich, real foods! (Exercise enables uptake of glucose by cells without insulin.) Almost all group entertainment consisted of exercises, as did daily life. They enjoyed many different, active games. Without distracting TV's, DVD's, loud radios, computers, and IPhones, conversation, interacting, intimacy, and relationships were developed. Even children enjoyed classics early on. Besides nourishing foods and plenty of exercise, there was fresh, clean air; adequate sleep, with nightly lullabies sung by the awesome ocean. Drinking water was from clear streams. Clear consciences allowed peace with the Creator and each other, with dependence on Him and others. All these "ingredients" led to a ripe old age of productivity and enjoyment for most (no, people are not living longer today than then, no matter what medicine would have you believe! And even now, what there is, is dependent on life support and myriad toxic drugs that did not exist). From this living off the land came the "good genes" having vanished today. A friend lived on the coast in nearby Winema then. Having been a recipient of one of those genomes, she enjoyed good health well into her nineties while living independently! 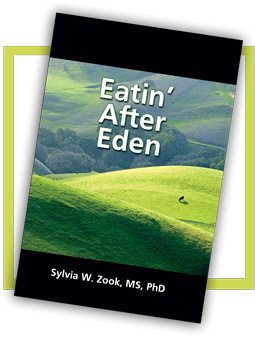 Her son, died in his early 70s of several cardiovascular issues after a major stroke, having squandered his “good genes” on today’s destructive faux-foods. True, there was no automatic anything, or instant this and that. No need for them. No one thought of being poor or “middle class;” they had the Creator’s foods from gardens and the wild; plus clothing and shelter, no time urgency stress in that unhurried culture of which we know so little. No 8-5 jobs to rush off to and back from on dangerous, stressful freeways. When the settlers worked they worked hard, when they played they enjoyed it to the max. There were no flights to catch cross country; no hospitals full of the sick and dying, there being no cancer, CVD, diabetes, Alzheimer’s, automobile accidents, ad nauseam. (Old Doc Brown had natural curatives without adverse effects, effective for the simple conditions of then.) It was not a pain-free paradise for certain, but life was far simpler and more sane. (Scripture tells us, “In the last days men shall run to and fro in the earth [stress].”) That young teacher used the Bible to teach the alphabet and much other (today it is not allowed in the class room, or the name of Jesus Christ). We should teach of that generation all we can to today’s, including their way of eating, much of which we can still enjoy today. It was that which chiefly provided and sustained the energy and endurance for all the rest they--and we--enjoy today...without those diseases; not even colds or flu!